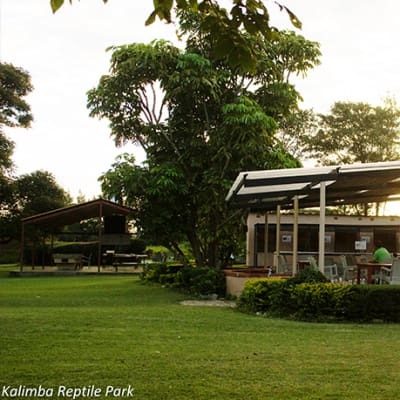 At Kalimba Reptile Park you'll experience giant Nile crocodiles, as well as indigenous snakes, tortoises and other reptiles. It's also one of the few places left in the world where you can see the rare and shy slender-nosed crocodile. There are also plenty of other activities to fill your time, or to entertain the kids if you'd rather relax by the pool. Patches Galore offers beautifully sewn ethnic print cushions - choose from a wide assortment to match your lounge or sun room colour scheme. The company also creates picnic mats and play mats, oven gloves, neck pillows and more. Closely linked to The Gallery Office Park is the Lechwe Trust Art Gallery. It is open daily from 9.00 to 18.00 hours and hosts regular exhibitions, showcasing local art, sculpture and visual arts. The gallery opened in 2018 and is part of the Lechwe Trust. Visit Mulberry Mongoose to hear the story of the women that use physical strength to carve, grind, hammer and shape each piece of jewellery. Learn how the craftswomen turn organic materials and semi-precious stones into unique jewellery by incorporating snare wire set down by poachers into their craft. Listen to the story of romance and hard reality, joy and adversity, history and a positive future. 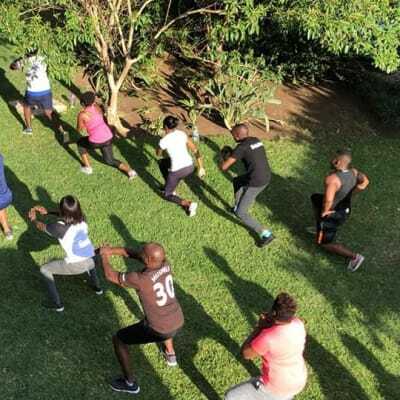 FitCity delivers fun team building events that help smart leaders (like you) to build more connected teams – lifting your employees to a new level of collaboration and productivity! They have worked with various companies including Stanbic Bank, Bank of Zambia, Deloitte, Lusaka International Community School, ZICTA, Mopani Mine, Water Aid and Davis and Shirtliff. Zambian Art & Design Show is an anticipated annual event that provides spectators an opportunity to see and buy the very best of Zambia's quality products with massive discounts and special offers. There is also live entertainment, a full bar and a food court, as well as a kids' entertainment corner. 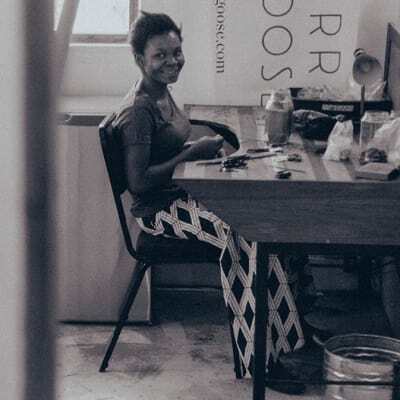 Over the past two years Afrikolor has extended its passion for handmade products by including ceramics in its product portfolio. 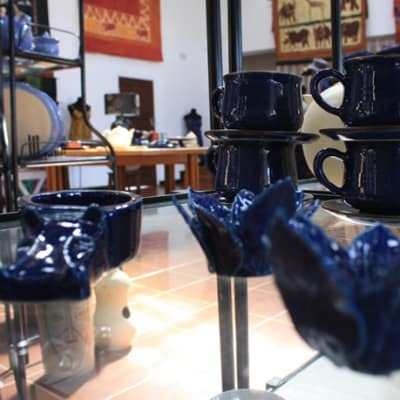 Every piece of pottery is individually hand made and made entirely from Zambian clay. All stoneware and clay products are lead free and dishware and microwave safe. 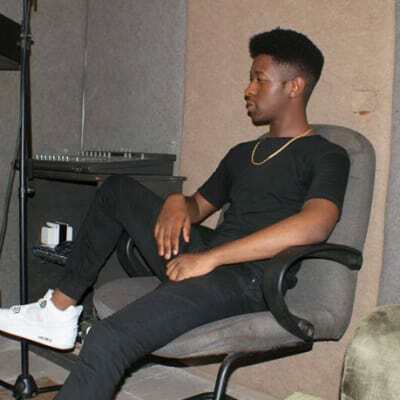 Follow Zack Songs in his music journey and slowly watch him grow as he aspires to get his country 'Zambia' recognition on an international platform by providing his fans with good quality music. Zack performs for corporate events, private parties, festivals and more. 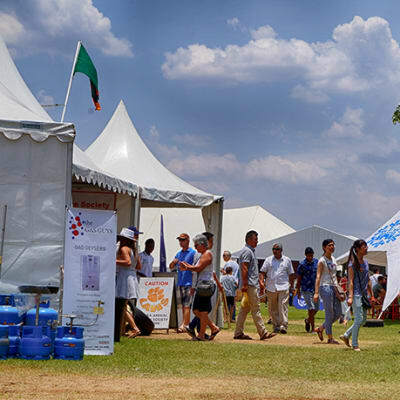 The 2018 Agritech Expo Zambia is back with new feature areas and farming professionals from more countries attending. This expo offers farmers of all scales a platform to network with their peers and explore new technologies and farming methods in order to boost operations, yield and productivity. Lightfoot Zambia is a manufacturer and supplier of a huge range of furniture and handcrafted products including picture frame sets, tables, stools, wall art, linen, lamp stands and chandeliers, as well as glazed ceramics. With a team of skilled craftsmen and artisans, this company has built a reputation for excellent craftsmanship and creative artistry. Mukuni Park has a remarkable history. In that year the Paramount Chief Lewanika of the Lozi people of western Zambia visited the Victoria Falls for the official opening of the Zambezi Bridge. It was at Mukuni Park site that he mounted an exhibition of Barotse arts and crafts for his meeting in Livingstone with the Duke and Duchess of Connaught. Funky Frogs Zambia is a fun and safe play venue with a huge jumping castle, doll house, dress up corner, scooter track, swings, slides and jungle gyms. There are holiday clubs for those kids who want to join them over school holidays doing experiments, making crafts, singing and having loads of fun. This is a not for profit organization dedicated to the care and well being of 120 chimpanzees, most of which were rescued from poachers, dilapidated zoos, circuses, and the bush meat trade. Chimfunshi Wildlife Orphanage and Trust operates entirely on donations and sponsorship provided by valued donors, volunteers and visitors. The bridge tour is a wonderful experience for families and for the more mature traveller. It contains aspects of theatre, history and adventure and can be enjoyed by all ages. Go back in time to learn about the men who built this masterpiece and experience firsthand what it must have been like to work on the construction of the bridge. The festival is youth friendly and hopes to expose Zambians to different genres of art, whilst using the arts as a catalyst to educate people about HIV/AIDS and gender issues. Partners and participants include artists from West Africa, Southern Africa, Asia, the Middle East and USA. Offering cultural dance groups, live music and handicrafts workshops, the Livingstone Performing Arts Foundation is your ideal place to arrange cultural entertainment in Livingstone. The Arts Café has a bar and restaurant, an art gallery, artisan workshops, and a theatre where the shows takes place. Set in a quiet and safe neighbourhood, the Dutch Reformed Church Craft Market is a place where you can buy a wide variety of craft items, locally manufactured furniture, locally produced foods, second hand books, fruits and veg, and plants for your garden. A fund raising activity for the church. Boasting of exotic and endemic plant species, the Botanical Gardens at Munda Wanga Environmental park houses over 1000 species of plants. There is also a Recreational Village, an ideal place for a fun day out with family and friends in Lusaka. This venue hosts several events such as music festivals, and sports to keep visitors entertained. Sundays are set aside as market day and the grounds of Arcades come alive for the main weekend attraction. 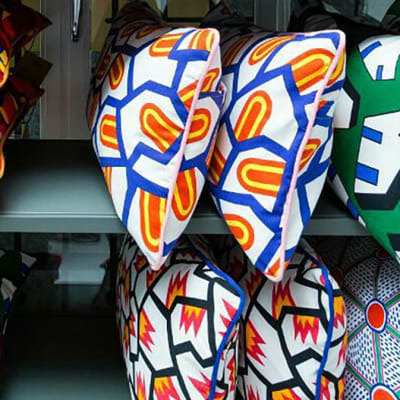 There's a hive of activity, a blaze of vibrant colour and a plethora of beautiful handmade Zambian arts and crafts on show. The famous Pakati Market is open every Sunday from 09.00 to 17.00. 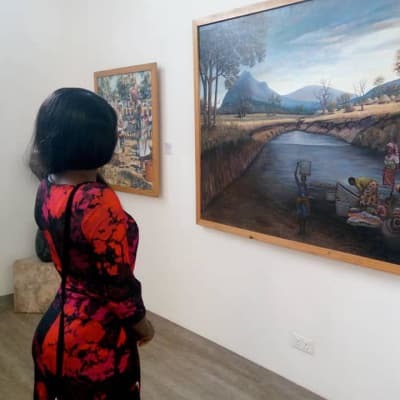 During your stay at Kilimanjaro Country Lodge & Café or while enjoying a meal, guests ought to take time out to admire the arts and craft work on display. 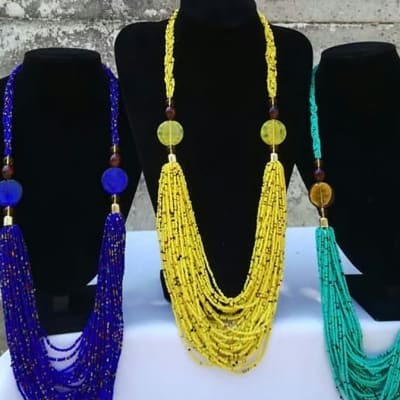 The café hosts a crafts shop that offers a wide variety of traditional paintings, key holders, duvet covers, handmade bags, beaded creations, wire sculptures and much more. With a rich cultural background, exciting tales of magic and mystery and the colourful eventfulness of it all, the Kuomboka ceremony is definitely a must see. Visitors are welcome to the ceremony and Kuomboka cultural tours can be arranged by the Zambian tour operators. At the park, Shoppers and vendors can interact over the perfect Zambian gift in the relatively new purpose-built market shopping mall which was created in appreciation of the cultural value of the site and the people that have used it over the years. Craftsmen recommend you walk through the entire market before buying. There are several comfortable hotels, lodges and guesthouses that cater for a variety of needs and a range of budgets. These include: Eagles Rest Resort, Lake Kariba Inn, Lake Safari Lodge and more. There are also various events that take place throughout the year like the tiger challenge which takes place early December.